The state of value-based reimbursement efforts has been uncertain. Many healthcare organizations are indeed pursuing newer strategies to replace traditional fee-for-service care while reducing costs and improving quality, but progress has often been halting. Still, experts from Cedars-Sinai, CVS Health, Blue Cross NC and Harvard Pilgrim Health Care say they're quite optimistic for the future of value-based care in 2018 and beyond. In the area of health IT, the shift to value-based care is fueling new uses for data and has the potential to reinvigorate the electronic health records that many feared had gone stale, said Scott Weingarten, senior vice president and chief clinical transformation officer at Cedars-Sinai and an innovator in the value-based care space. "I believe that natural language processing, machine learning and artificial intelligence have the potential to significantly improve the interpretation, understanding and usefulness of information documented in the electronic health records and other information sources," Weingarten said. "I believe that these advances will enable provider organizations to unlock the promise of EHRs and other technologies and achieve a greater clinical and financial return on their technology investments." With regard to the value-driven model, digital health systems for virtual care can help the industry ease the transition if adopted soon and used wisely, said Michael Sherman, chief medical officer and senior vice president of health services at insurer Harvard Pilgrim Health Care. He oversaw the first value-based care deal between Harvard Pilgrim and Amgen, which focused on drug performance. "Through enhanced utilization of emerging technologies such as telemonitoring, moving care to the home – including for conditions previously requiring hospitalization – providing an enhanced primary care experience, many through a combination of in-person and virtual care," Sherman said. "In many cases, these companies are bypassing the health plan and being offered directly to large employers." Given that these new approaches appear to be gaining real traction, those who choose to ignore these new entrants do so at their own peril, he added. On another front, value-based care strategies must be designed and implemented with a focus on the consumer and a firm commitment to enhancing the patient experience, said Patrick Conway, president and CEO of Blue Cross NC and former head of innovation at the Centers for Medicare & Medicaid Services, where he advanced bundled payment models. "All of our work to improve quality and outcomes and reduce costs should be with an eye toward giving consumers greater value and an overall better experience," Conway said. "Our healthcare system in the U.S. is fragmented, which only confuses people. 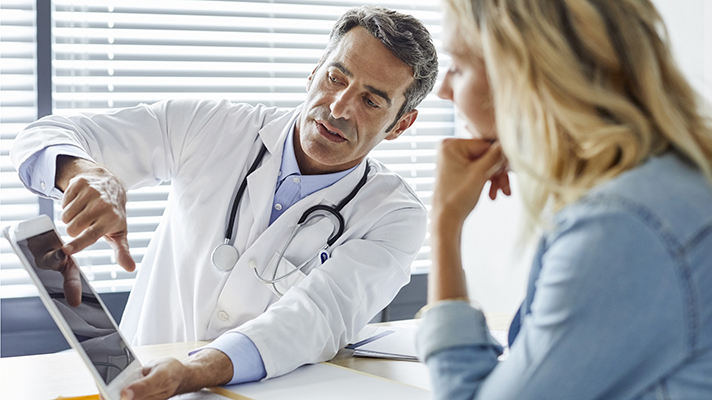 The partnerships that providers and health plans have begun need to lead to tighter integration and more sharing of data to create a better-coordinated experience for consumers." And value-based programs will succeed based on the results they deliver – and drug manufacturers are finally listening, said Tracy L. Bahl, executive vice president, health plans, at CVS Health. He has been instrumental in working with the company's health plan clients to explore opportunities to integrate value-based care models. "It is the consumer who will determine our fates more than any law or regulation. How effective we are at simplifying this ridiculously fragmented and complex space for the consumer and driving tangible value in their lives will determine how successful any of us are," said Bahl. "If there is a mistake to be made, it's in implementing a 'value-based program' for the sake of having a value-based program. "You see this a lot in 'value-based' programs with drug manufacturers – many look interesting but have failed to produce tangible results," he said. "We've been able to partner with a few manufacturers in innovative ways that we believe will drive tangible results for our customers." The four executives were convened at a roundtable hosted by Chasm Partners, a retained search firm focused on placing talent in high-growth venture-backed companies and specializing in industries including healthcare technology and Big Data.